BETTER AND BETTER: We are always trying to be better. What was good enough yesterday is not good enough today. Our guests are educated. 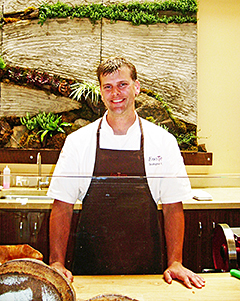 They want to know the why of things. Christopher Albrecht, executive chef at Eno Terra, is shown by the restaurants salumi station (charcuterie). Behind him is a living wallscape by artist Robert Cannon. 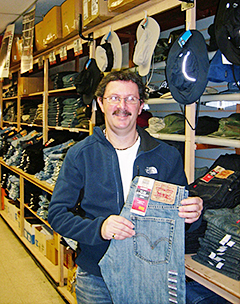 ENDURING DENIM: We adapt to the times, but always keep the same focus on quality items at affordable prices. Michael Bonin, owner of Princeton Army & Navy store, is holding a pair of the very popular stone-washed Levis Slim Straight #514 jeans. Denim continues to be the most popular item in the store, he adds.